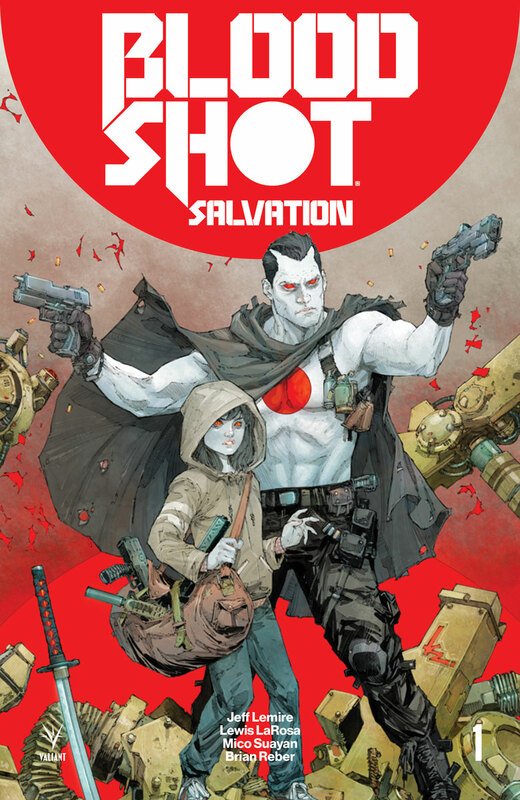 BLOODSHOT SALVATION #1 – the FIRST ISSUE of the BLOCKBUSTER ONGOING SERIES from New York Times best-selling writer Jeff Lemire(BLOODSHOT REBORN, Black Hammer) and explosive artists Lewis LaRosa (BLOODSHOT REBORN, SAVAGE) and Mico Suayan (BLOODSHOT REBORN)! 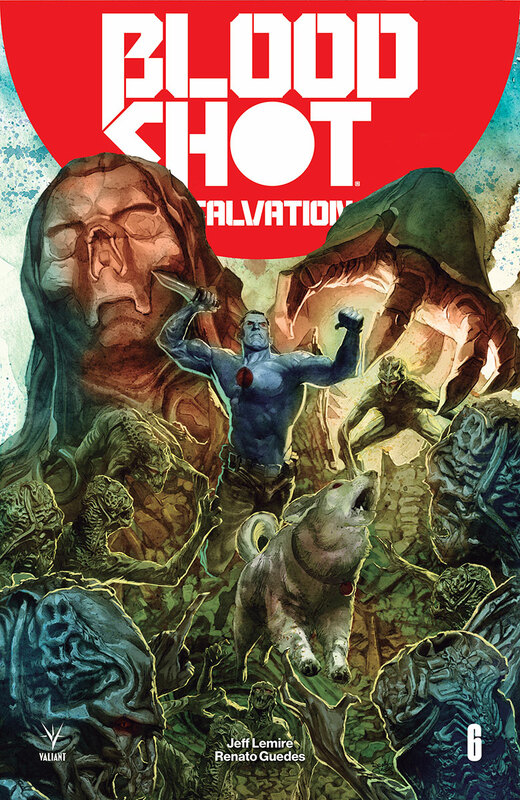 Now, for the first time, Valiant can finally reveal the complete details behind BLOODSHOT SALVATION’s revenge-fueled first year in the Valiant Universe and initial opening story arcs: “THE BOOK OF REVENGE,” “THE BOOK OF THE DEAD,” and, finally, “THE BOOK OF REVELATIONS”. 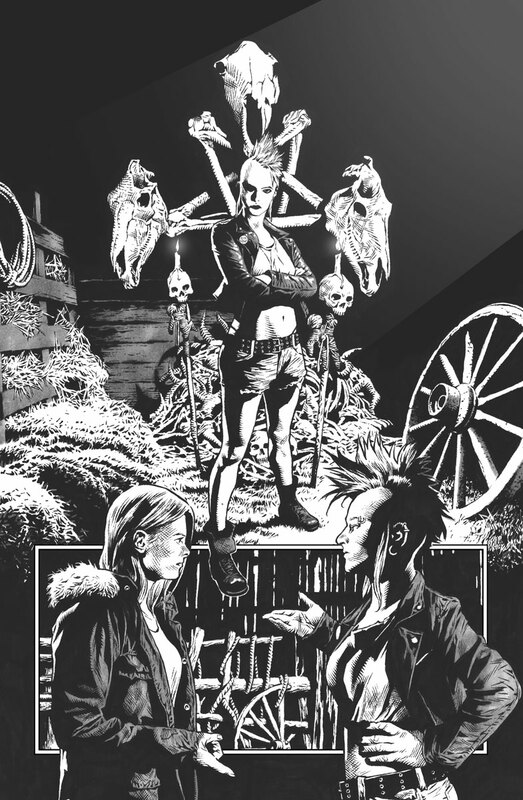 Featuring a devastating cast of all-new antagonists – like Rampage, The Scarred Man, and the demented cultist simply known as Daddy – and must-read appearances from Ninjak, Shadowman, the Death-Defying Dr. Mirage, Punk Mambo, Bloodshot 4001 A.D. and more, the next chapter in Jeff Lemire’s Eisner Award-nominated superhero saga starts at a soul-shattering crossroads of violence, villains, and vengeance that will forge the path of Bloodshot and his beloved daughter, Jessie, from the modern day, through the Deadside, and into the 41st century of the Valiant Universe. Two thousand years in the future – in the year 4001 A.D. – the man once known as Ray Garrison is no more…but the microscopic nanites inside him live on. 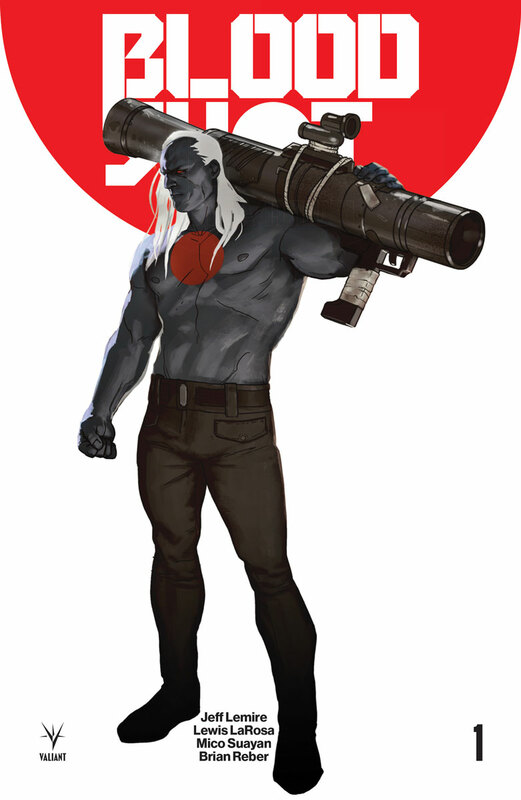 Enter Bloodshot 4001 – a strange, gunslinging echo of Bloodshot’s mind, body and soul that is now more machine than man. 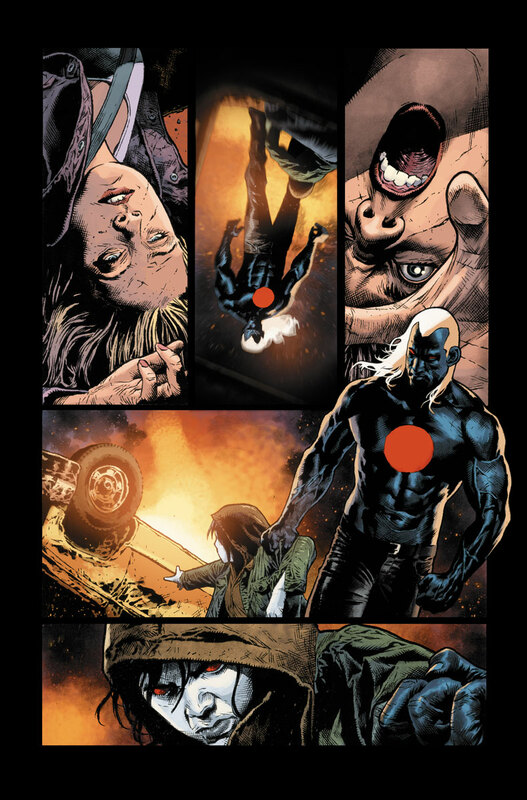 But when our century’s Bloodshot finds himself delivered to the dawn of the 41st century with one last mission to fulfill, two Valiant legends will finally come face to face…just as the secret revelation that binds them together across the ages forever reshapes Bloodshot’s place at the center of the Valiant Universe! 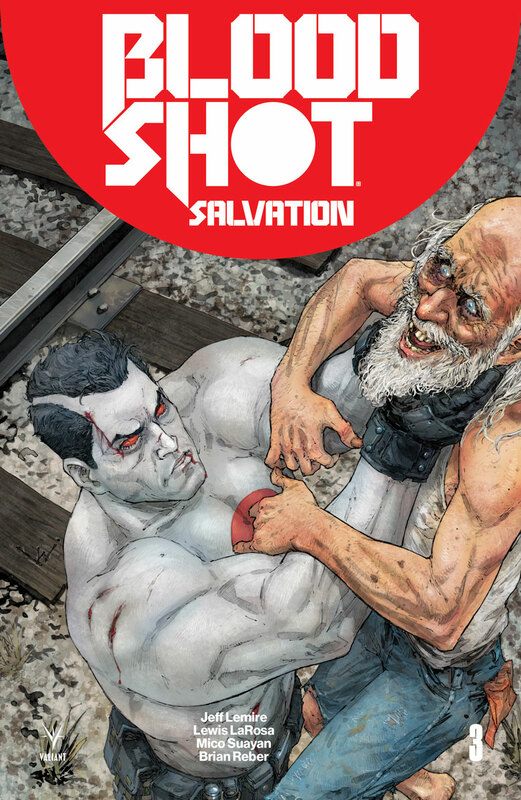 "This is really a story that's a war for Bloodshot's soul, for Ray's soul. 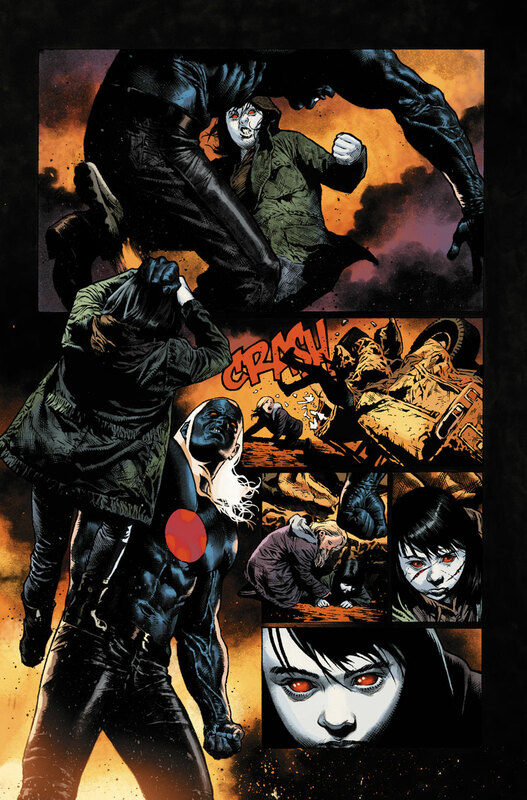 All the villains are of his own making, are from the duality between Ray and Bloodshot. 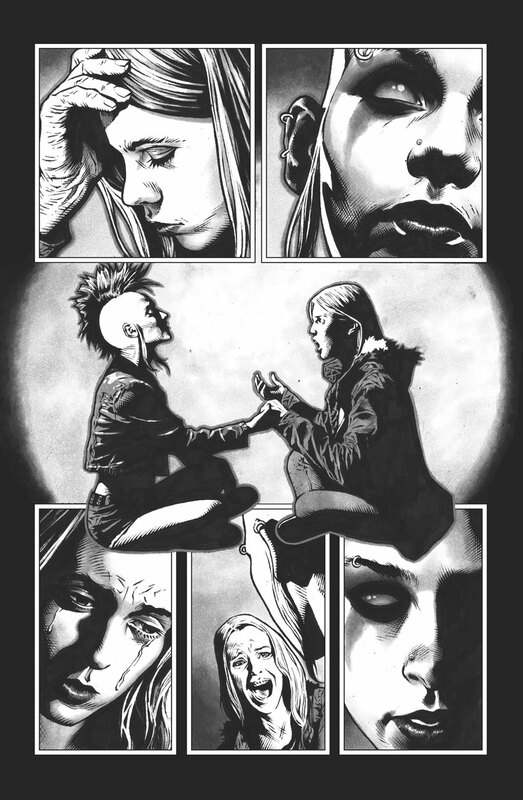 If he would just leave it alone, none of these villains would show up," Valiant CEO & Chief Creative Officer Dinesh Shamdasani told SyFy Wire. 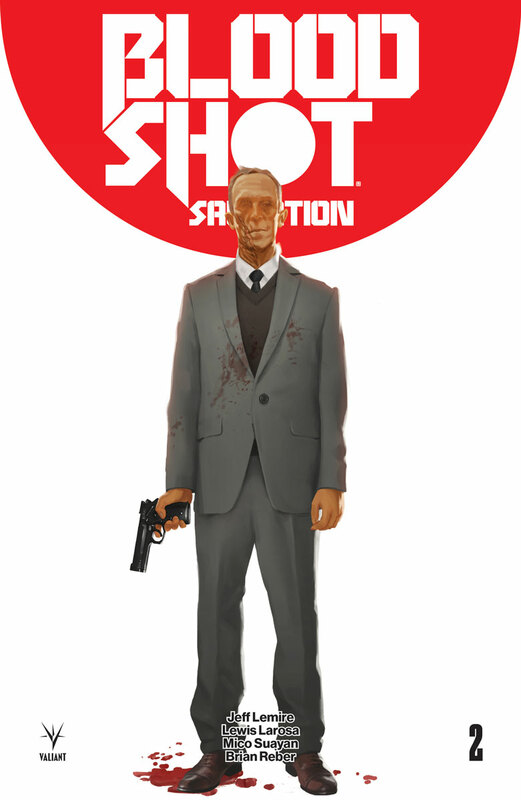 So while it's this massive, violent, epic story, it's also this emotional, character-driven story of a guy battling for who he is, battling to see if he's the evil killing machine or the man who hopes to have a family." 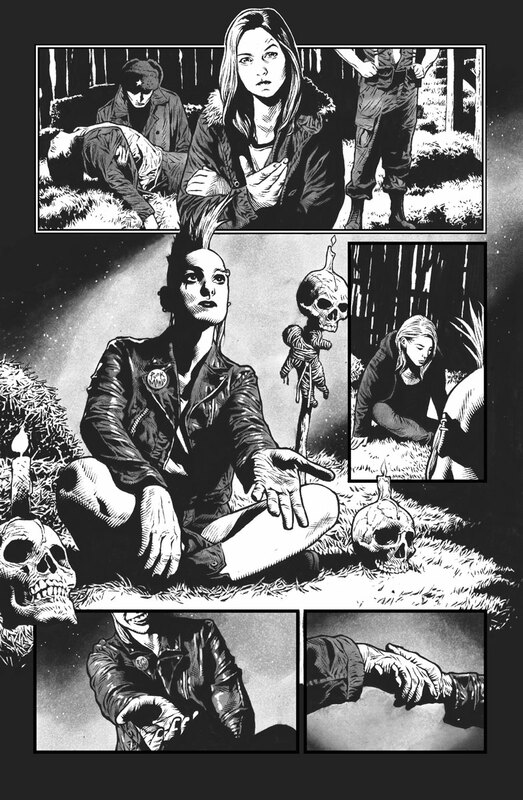 "Jeff's having so much fun being able to put these massive villains on the field across this series," added Valiant Editor-in-Chief Warren Simons. 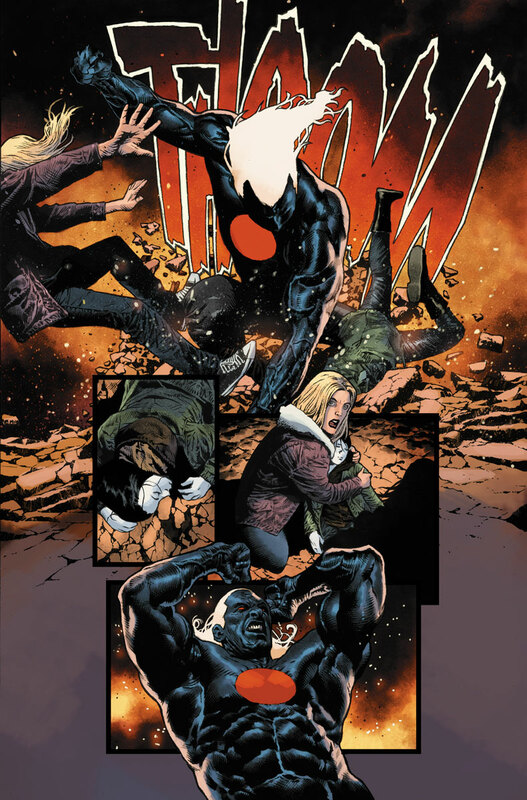 "He's building out Rampage, he's introducing a new character named Daddy, he's fleshing out the character Scarred Man he created in Bloodshot #0, there's a big villain coming up in our Deadside arc; so he's building up really powerful villains, and it's more of an exterior threat." 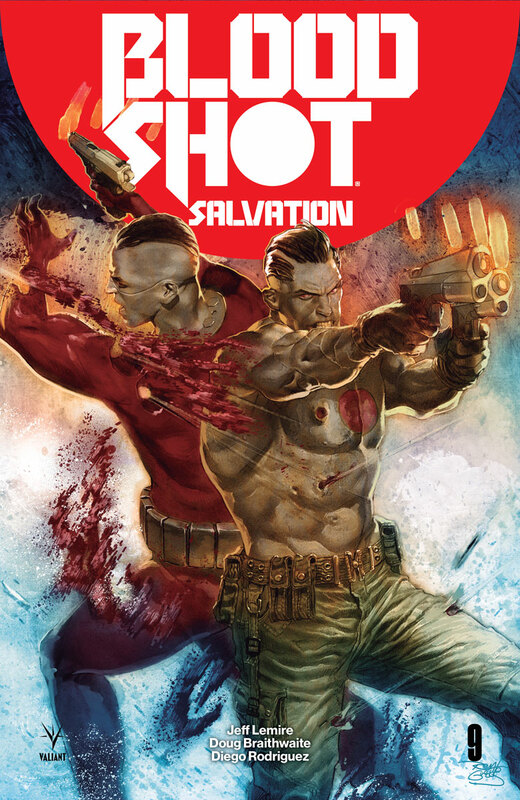 On September 20th, Valiant’s machine-made soldier begins his most dangerous trial yet for a heart-wrenching mission to save his family…and the humanity inside himself. 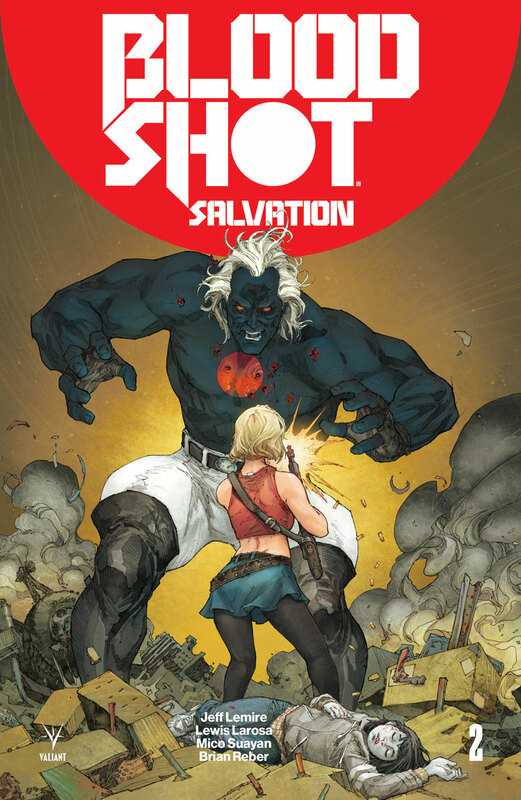 Witness the dawn of the most punishing Bloodshot tale ever told as Jeff Lemire, Lewis LaRosa, and Mico Suayan unleash a horrific new campaign of blood and retribution, beginning in BLOODSHOT SALVATION #1 – featuring covers by Kenneth Rocafort (The Ultimates), Monika Palosz (DIVINITY III: STALINVERSE), Tomas Giorello(X-O MANOWAR), Ryan Bodenheim (The Dying & The Dead), Greg Smallwood (Moon Knight), and Dave Johnson (100 Bullets)! 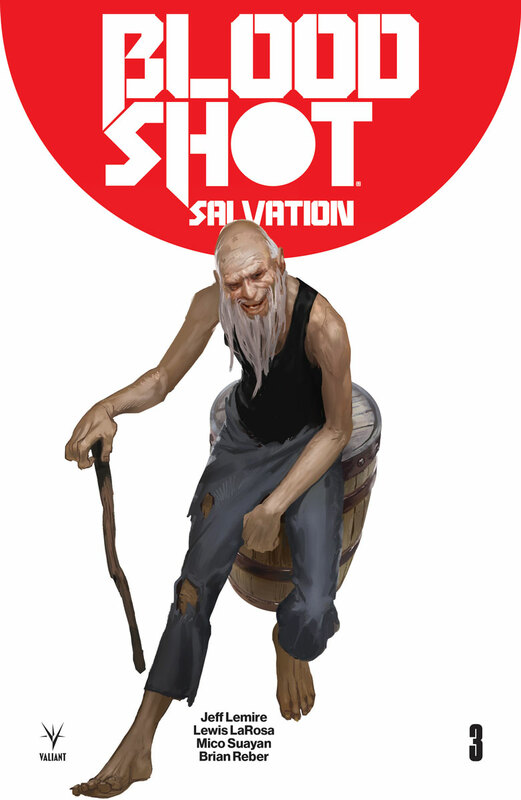 Are you ready for Bloodshot Salvation? Let us know in the comment section below. Also, don't forget to like, share and subscribe to all things Constant Collectible to keep up to date with all the news & reviews from a world of GEEK CULTURE.